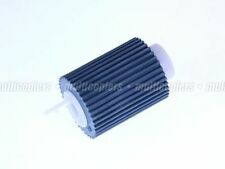 New Genuine Xerox 013R00662 13R662 Drum Unit. 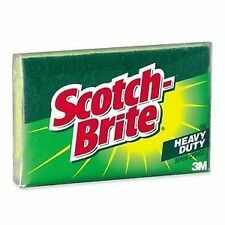 for the:WorkCentre 7525 7530 7535 7545 7556 7830 7835 7840 7855 7970. GENUINE XEROX DRUM UNIT. These toner cartridges were purchased a couple months back and were never used. They’ve just been sitting in my office. They are genuine, brand new, untouched and in original packaging. Thanks for looking! RICOH PRINT CARTRIDGES MP C3502. ORIGINAL RICOH PRODUCTS! FREE SHIPPING!!! THESE ARE ORIGINAL SEALED RICOH PRODUCTS. SEE BELOW FOR QUANTITY AND EDP CODES. QTY(3) MP C3502 CYAN EDP CODE 841738. QTY(3) MP C3502 YELLOW EDP CODE 841736. Complete Color Toner Set. Genuine Sharp OEM. MX-60NT has been replaced by MX-61NT by Sharp. 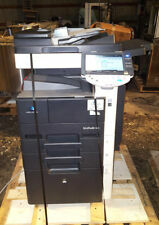 Sharp MX-2630N. Sharp MX-3050N. Sharp MX-3050V. Sharp MX-3070N. Sharp MX-3070V. Genuine Canon Toner. Series or Collection: 137. Compatible with: Canon ImageCLASS D570, LBP151dw, MF212w, MF216n, MF227dw, MF229dw, MF232w, MF236n, MF244dw, MF247dw, MF249dw. Ink or Toner Color: Black. Fast Shipping Guaranteed!!! 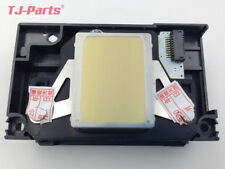 We ship 3 day Priority some 2 day Priority We Ship Worldwide DESCRIPTION This NON-OEM part but works great Compatible Xerox DC 240 Series DC550/560 Series Touch Screen Panel 802K65291 Xerox DC 240/250 Series WC7655/7755 Series DC560/560 SeriesTouch Screen Panel 802K65291 640S01096 642S01083 New Xerox DocuColor, WorkCentre, Color DC 240 / 242 / 250 / 252 / 260 Xerox 700 / 700i Digital Color Press WC 7655 / 7665 / 7675 / 7755 / 7765 / 7775 Color 550 / 560 Control Touch Panel Screen Fits These Models Docu Color 240 Docu Color 242 Docu Color 250 Docu Color 252 Shipping to United States (48 States ONLY), EXCLUDES Alaska, Hawaii, Guam, Puerto Rico,Virgin Island,PO Box, Military Address/Bas APO & FPO(US Postal Service). 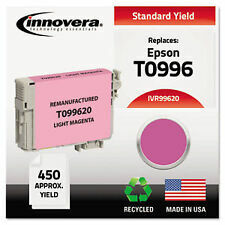 You buying Genuine Kyocera Toner Set -TK-8307 CMYK. Series or Collection: TN 315Y. The vivid yellow toner makes text and images stand out on the page. Ink & Toner Compatibility: Brother HL-4150CDN. 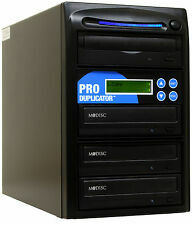 Compatible with: Brother HL-4150CDN, HL-4570CDW, HL-4570CDWT, MFC-9460CDN, MFC-9560CDW, MFC-9970CDW. Set 4 GENUINE Xerox 700 J75 C75 TONER 006R1375 006R1376 006R1377 006R1378. Condition is New. Shipped with USPS Priority Mail. GENUINE XEROX FUSER FOR COLOR 550 560 570 C60 C70 (008R1310) . Condition is New. Shipped with USPS Parcel Select Ground. Genuine Konica Fax Kit FK-512 New in Box A6EDW11 - Still sealed. Condition is New. Shipped with USPS Priority Mail. 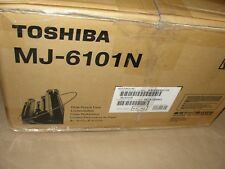 Sharp toner set of MX-61NT-BA MX-61NT-CA MX-61NT-MA MX-61NT-YA. Sharp MX-2630N. Sharp MX-3050N. Sharp MX-3050V. Sharp MX-3070N. Sharp MX-3070V. Sharp MX-3550N. Sharp MX-3550V. 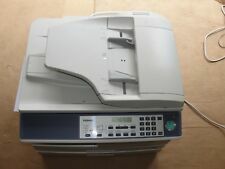 RICOH COLOR DRUM - D0892251. Ricoh Aficio MP C3001. Ricoh Aficio MP C3501. Ricoh Aficio MP C4501. Ricoh Aficio MP C5501. NEW FACTORY SEALED! Lanier LD645C. Lanier LD635C. 1 KONICA MINOLTA Minolta du-10 5. What you see in the pictures is what you will get. Ink & Toner Compatibility: Canon Printers. Compatible with Canon all-in-one machine models: imageCLASS D420, imageCLASS D480, imageCLASS MF4150, imageCLASS MF4270, imageCLASS MF4350, imageCLASS MF4370, imageCLASS MF4690. Trending at $49.40eBay determines this price through a machine learned model of the product's sale prices within the last 90 days. 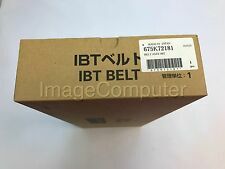 For Bizhub C654 C654e C754 C754e. Genuine Konica Minolta TN711 CMYK Full Set Toner. Copier Clearance Center was established in 1993. Copier Clearance Center. We are more than happy to assist you with the pricing and guide you to find the copiers you wish to buy. CANON 3225 / BLACK&WHITE. (ONLY SOUTHERN CALIFORNIA AREA, within 30miles of Santa Fe Springs, CA. ). Sharp mxfxx2 with card and screw. > OEM code / Part NO:188 T1881. > Type: Other > Item: Printhead Printer Print Head. 3d Systems VisiJet S400 Support Material 24180-905. Xerox Magenta Dry Ink Toner Color 800 1000 Press 006R01472 Brand New Sealed! Xerox 800 & 1000 Color Press. Compatible Printers. OEM code : F173050 F173030 F173060 F173070. A00JH010 A02EH310. Bizhub C353 C451 C550 C650 CM3522. Pulled From A Working CM3522 That Fail Other Parts. Konica Minolta Scanner Light. We only use actual pictures. FOUR Canon motors, 12v DC, 6,300 rpm 7 pole. 30 mm rounded, double shaft. Shaft: Ø4mm X 12mm (L Front) &Ø4mm X 10mm (L Rear). No Load Speed =6300rpm . If the specs fit your need, these are the best motors you can find. The MFP Lifts are designed for a correct and safe ergonomic lifting motion. Search MFP Lift on You Tube for one minute Demo. Multi Function Printer Lift. Xerox All-in-One Machines: Phaser 3635MFP, Phaser 3635MFP/S, Phaser 3635MFP/X, Phaser 3635MFP/YXM. 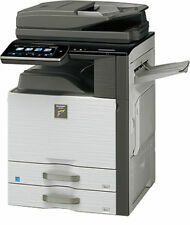 Compatible with: Xerox Phaser 3635MFP/s, 3635MFP/SED, 3635MFP/SM, 3635MFP/x, 3635MFP/XM, 3635MFPV_XEC. Brother Laser Printers: DCP-L5500DN, DCP-L5600DN, DCP-L5650DN, HL-L5100DN, HL-L5200DW, HL-L5200DWT, HL-L6200DW, HL-L6200DWT, HL-L6300DW. Brother All-in-One Machines: DCP-L5600DN, DCP-L5650dN, MFC-L5700DW, MFC-L5850DW, MFC-L5900DW, MFC-L6700DW, MFC-L6800DW. Brand new genuine OEM Ricoh Savin Lanier color drum unit D0892251 D089-2251. Condition is New. Shipped with USPS Retail Ground. 008R13085 New Genuine Xerox Fuser Web Assembly. GENUINE XEROX. Keep up with the demands of daily office printing using this Brother DR 110CL drum unit. Print and copy with this toner drum. Series or Collection: DR 110CL. Brother drum kit produce superior quality for a wide array of printing needs. Genuine Konica BizHub C454 C554 TN512 Color Toner Set KYMC New in Box!